We take great care in dispatching your goods, whether it be a decanter, a set of glasses or a wine rack. 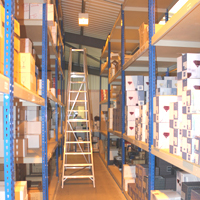 You will be kept up to date with your order, where it is in our system and when your goods have been dispatched. We'd love to hear back from you once your goods have arrived, your opinion counts to us! Ordering glassware online can be a cause for concern as it raises questions. Will my glasses arrive safely, undamaged? How will they be packaged? Well, here at Wineware we have more than 13 years of trading experience in glassware, wine racks, wine accessories and more. We have delivered to both the domestic and commercial trade and continue to offer the best service around. To show you just how seriously we take our packaging and delivery service, we’ve given you a sneak peek into the Wineware delivery department. How will I know my glasses will arrive in one piece? Once we have received your order, our team pick it from our warehouse. All of our glasses and decanters are boxed; this is either pre-boxed by the manufacturer or we use our own in-house boxes. Once your goods have been selected our team choose the appropriate packaging. 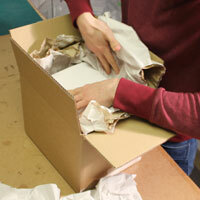 We then protect your goods using recycled cardboard, bubble-wrap or biodegradable air flow packaging. Each order is carefully packed to ensure no damage occurs during transit. Although we cannot guarantee this, once the package(s) leave our warehouse they are out of our control. Once your order has left our warehouse, it travels to your chosen address! 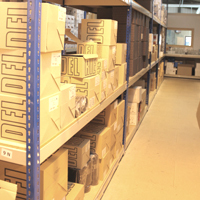 We will notify you via email when your goods are on their way, so look out for a dispatch email in your inbox. We appreciate reading all your reviews, good and bad. They help us improve and offer the highest level of customer service possible. Please submit your review on our customer service via Trust Pilot. If you love the product, then please leave a few comments on the product’s page on our website. Your opinion counts! 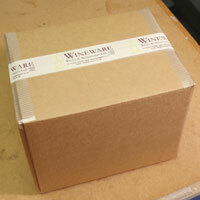 If you have any comments, ideas or suggestions regarding our packaging please email us: info@wineware.co.uk or tweet us on twitter @WinewareUK. We appreciate hearing what you think and how we can make our services even better.